Of course we’re still years away from knowing who Craig’s successor will be – as he still has at least one more movie to film. 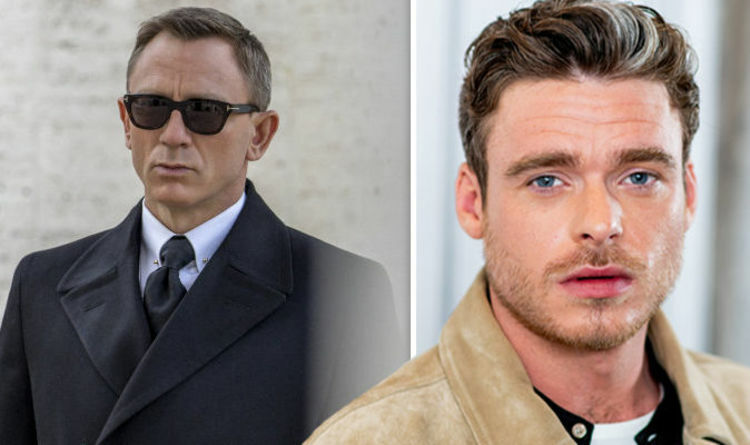 The 25th film in the series is still pencilled in for a late 2019 release date despite no director currently being attached – so even if it doesn’t get delayed, which itself seems unlikely at this point, Craig will be tied in to being 007 for another 18 months. That hasn’t stopped punters from flocking to place their bets on his successor, however. Madden has had a lot of interest in him recently, after he went down a storm as the titular Bodyguard in BBC One’s well-received new drama. So how much competition does he have if he wants to be 007? According to bookies, lots. With Coral, Madden currently has 10/1 odds of landing the job – which puts him in sixth place. Ahead of him are current favourite Tom Hardy on 2/1, and long-term frontrunner Idris Elba on 4/1. Henry Cavill has been cut right down to 6/1 after being rumoured to have left his role as Superman, and Tom Hiddleston has those same odds too. James Norton follows on 8/1, after having similar attention to Madden when he starred in McMafia. Behind Madden, Outlander star Sam Heughan is on 12/1 alongside Poldark’s Aidan Turner and Jack Huston. Any female can also be backed at 12/1. Cillian Murphy of Peaky Blinders is in the mix at 20/1, as is Michael Fassbender; and Ewan McGregor is at 25/1 with Daniel Kaluuya and Jamie Dornan. Dan Stevens, Andrew Lincoln, Damian Lewis and Jack O’Connell all follow on 33/1. Jed Mercurio, the writer of Bodyguard, recently hinted that Madden’s huge newfound popularity could be what prevents the BBC drama from returning. “He’s the genuine article, a real leading man. And I think this role has put him very much in the spotlight for bigger things,” the Telegraph quotes him as saying. James Bond 25 is still scheduled for release in November 2019.